You see them everywhere, people sitting in coffee shops glued to their computers, often with head phones, and you have to wonder why they aren’t on the beach or hanging out with their friends. In fact, they are working. Back in the day, young people flocked to Puerto for the waves. Backpackers from Australia and Israel, filled the hostels on Zicatela and La Punta, meeting up with friends they would likely see again in Palenque or Lake Atitlán. But now the word is out that Puerto is a great place to get work done: plenty of sunshine, plenty of shade, lots of peace and quiet in spring and summer, but also good restaurants, great coffee and decent internet connections on the Rinconada. And compared to many places in Mexico, Puerto is still affordable, especially if you are being paid in dollars or euros. Where in the world is Vera Caldeira da Silva? We caught up with her during her two-week stay in Puerto. But we could have found her in Thailand (one month), Cambodia (three weeks), India (two months), Berlin (one month), Lisbon (two months) or New York (three weeks). Most recently she’s been in Mexico City and Oaxaca. 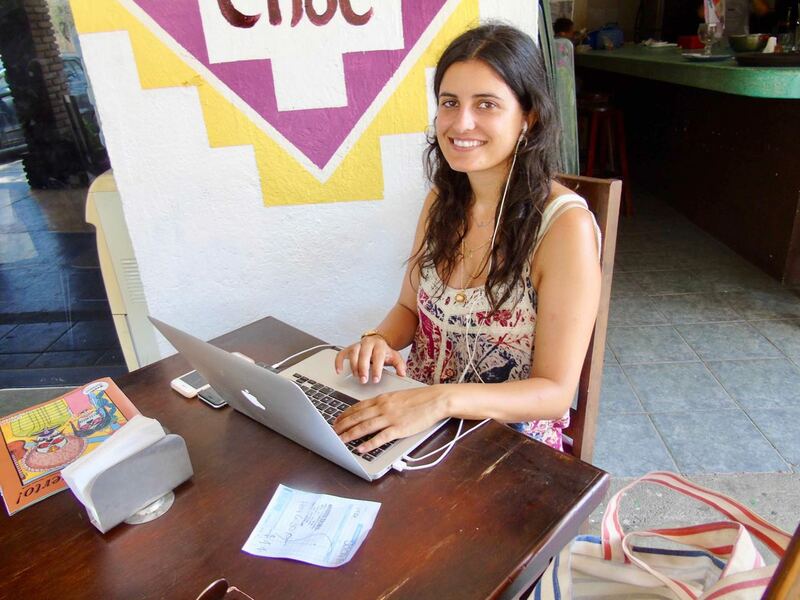 How does this 27-year-old Portuguese woman with a degree in international relations from a Scottish university manage to support her wanderlust? She works remotely as a customer service representative for a British company that manages short-term rentals in London. She talks to the guests and relays the information, like arrival times and special needs, to teams on the ground. Typically, she works six hours a day, four days a week. She’s paid an hourly wage and the hours are flexible. She has been doing this for a year. Do math and see the world. That is the Chris Chan experience. The 32-year-old California native has travelled extensively throughout Europe, Asia, and South and Central America in the past three years, while working full time as lead content mathematics developer for zyBooks, an on-line text book company. Chris uses the term “geo-arbitrage” to describe his lifestyle. For him this means receiving a U.S. salary while saving on expenses by doing the work abroad. Typically, he spends five or six hours a day at the computer, seven days a week. The rest of his time is devoted to sightseeing. His Mexico sojourn included three weeks in Puerto Vallarta, three weeks in Guadalajara, and a month in Mexico City, before his three-week stay in Puerto Escondido (including a week in Zipolite and Mazunte), this April. Chris goes back to San Jose, California periodically to visit his family and when his job requires him to attend conferences or important meetings. But he notes that he gets more work accomplished when he is away from the distractions of an office. From Puerto he planned to go back to Mexico City, then, after a stop in San Jose, on to London to visit friends before heading out to Eastern Europe to explore countries he missed on his previous trip. Gerit Tirik, 26, works remotely as a graphic designer for a startup in her native Estonia, while also freelancing for a design agency in that Baltic republic. 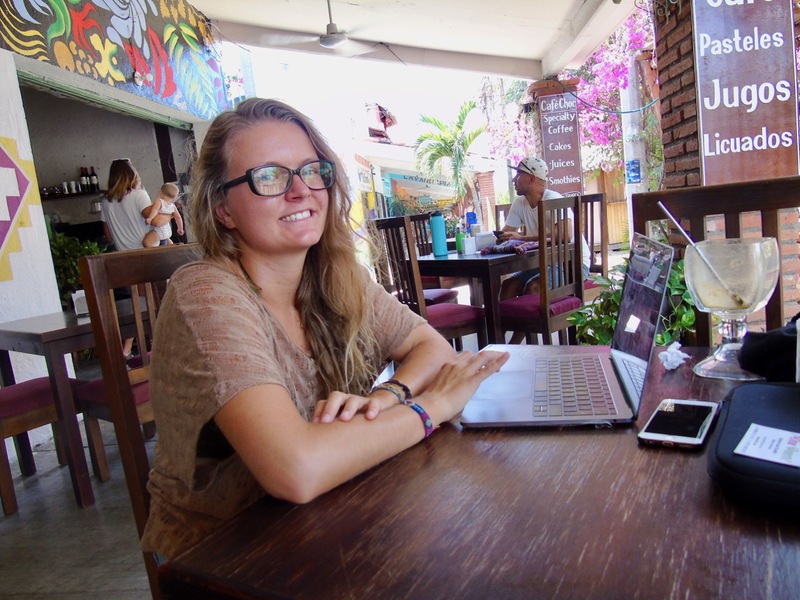 In the past two years, this digital nomad, has lived and traveled for six months in South-East Asia (Thailand, Laos, Cambodia, and Vietnam), spent four months in Chile and Argentina, and one month in Bolivia. This year started with a three-week stay in Cuba, followed by a month in Mexico, visiting Tulum, Mérida and San Cristóbal de las Casas, before finally settling for three months in Puerto Escondido. In between trips, she spends a few months in Tallinn hanging out with family and friends. And all this time she is working, averaging 120 hours a month. Nevertheless, she finds the time to surf, which was why she chose to come to Puerto. 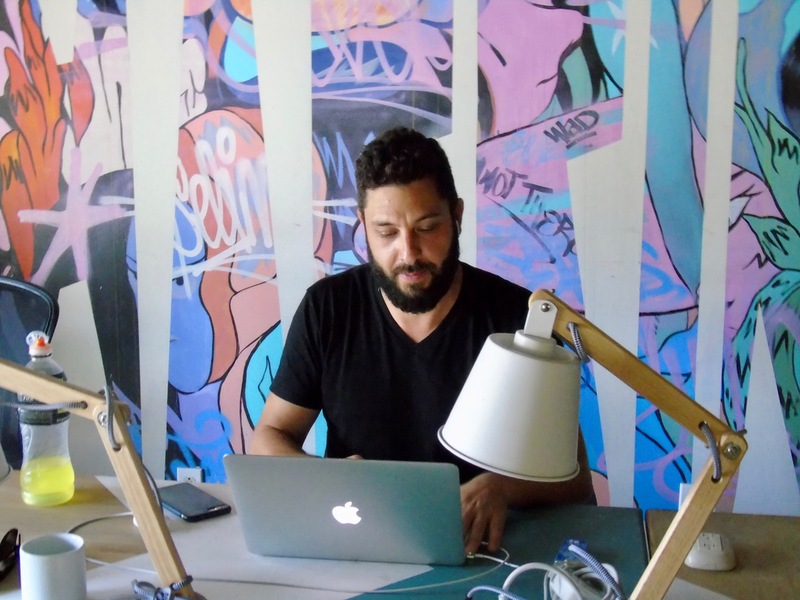 In May, the Selina Hostel, on Zicatela, opened Puerto’s first co-working space where remote workers, for a daily, weekly or monthly fee, can enjoy high-speed internet (20 Mb/s), air conditioning, and a view of the beach. Selina was a good fit for free-lance management consultant for business strategy, Kosta Stavreas who had been working remotely for three months, mostly in Mexico City, when we interviewed him in May. 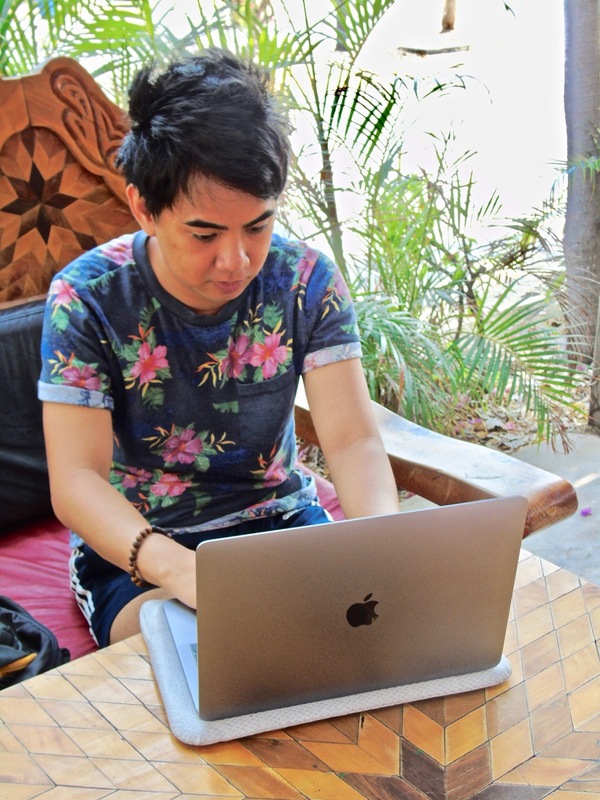 He likes the hostel because it gives him the opportunity to make friends with other digital nomads. There’s a pool, a bar, and parties two nights a week. The 38-year-old Australian, with degrees in law, economics and finance, worked in New York for the past 10 years, and he has had no problems finding U.S. clients since he started working remotely in Mexico. Some jobs are for only one day, others extend for months. He works from six to twelve hours a day, seven days a week. His goal, however, is to start his own tech company in Los Angeles, New York, or San Francisco.